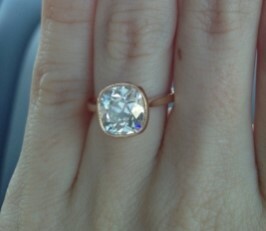 dc87 originally posted this remarkable rose gold engagement ring on the Show Me the Bling forum at PriceScope. This ring found it’s way to dc87’s fiance’s long waiting finger, the custom ring process can be long but it is always exciting! 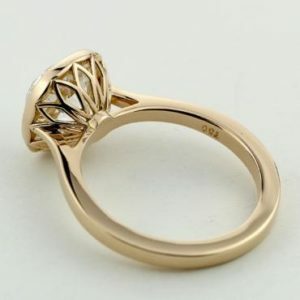 Lots of PriceScopers get their rings custom built, and turn to the forums for help! Getting advice from their fellow PriceScopers, dc87 turned to Engagement Rings Direct (now known as Brilliantly Engaged). 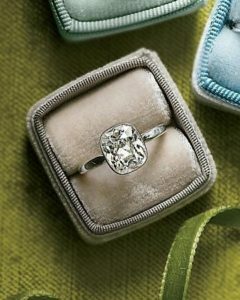 It should come as no surprise that many PriceScope members turn to BE for their custom jewelry needs. This rose gold ring is delicate, feminine, and divine. Truly, just a beautiful piece. I hope it has been worn in health wealth and happiness throughout the intervening years.